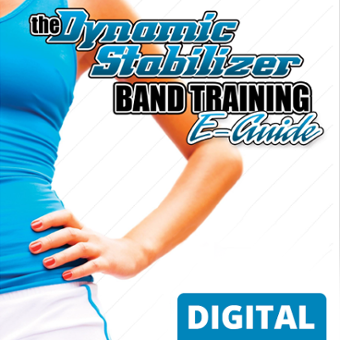 The Dynamic Stabilizer is a 13 inch continuously looped band that is perfect for training the hips to stabilize on the fly. Also by adding in some unique bases of support you quickly learn how to bring in the core. Being able to integrate the hip and core stabilizers functionally provides any client or athlete with a quick and effective stabilization training approach they can do anywhere, anytime at any intensity. Coaches, Athletes, Adult Fitness Enthusiasts, Fitness Professionals, or anyone interested in bullet proofing their body with rock solid hip and core stabilization training.